Excited to announce Blue Abaya’s recent interview and collaboration with Riyadh’s Radisson Blu Hotel! The following is my interview with Radisson Blu hotel in Riyadh which contains some sightseeing & activity tips for newcomers and business travellers to Saudi Arabia’s capital. 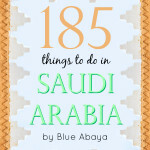 Read the article based on the interview “An Expat’s Guide to Riyadh by Blue Abaya” on Radisson Blu site here. 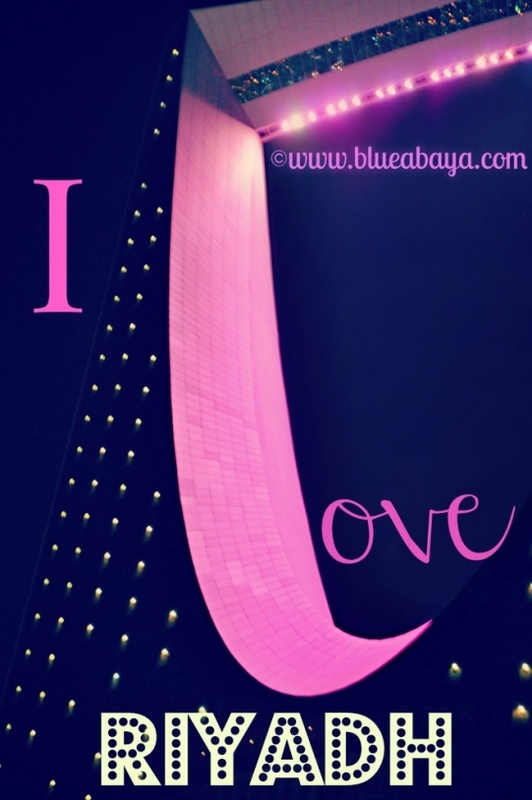 1) Why did you move to Riyadh and what were your thoughts before going there? How did you prepare? 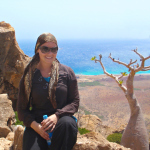 I moved to Riyadh in 2008 to work as a nurse in a large governmental hospital. Prior to arrival in Saudi Arabia I’d been in contact with a few nurses that were already working at the same hospital, and chatting with them was reassuring. Back then there wasn’t much info online and expat blogs were non-existent back then! The recruitment company also gave us material to read through in preparations for the move and dealing with culture shock. 2) As an ex-pat, what is your view of Riyadh now compared to perceptions at the outset? How has it changed in recent years? Riyadh has changed so much since then! New buildings, shopping malls and restaurants are literally popping up like mushrooms after the rain. The overall atmosphere and ambience has become more relaxed too. I definitely like the Riyadh of today more in terms of available activities and ways to spend free time. When I came it was difficult to find women’s gyms and good spas, now there are several top notch places to choose from all over the city. It’s great to see how much variety there is nowadays in Riyadh when it comes to dining out, there always something new and exciting to try out. Another improvement is local tour companies who have began to cater to the expatriates and foreign visitors by offering city tours and day trips to some very beautiful places just outside of Riyadh. 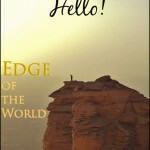 3) What – in your mind, are the absolute must-see attractions in Riyadh for business travellers or holidaymakers, and why? I think it would be a great idea for the travellers to see both the modern city life as well as the traditions and heritage of Saudi Arabia. For example, combining some attractions from the city center such as the Kingdom Tower SkyBridge, Al Faisaliyah tower and the High Tea at Globe restaurant with a sightseeing tour at UNESCO World Heritage site, Historical Diriyah. 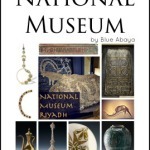 Another must see place is the National Museum, this is one of the best Museums in the entire Middle East and visitors get an excellent introduction to the Arabian Peninsula’s history, culture, geography and religion. The surrounding area of the National Museum, King Abdul Aziz Historical center, has enough attractions and activities to keep the visitors busy for the whole day. A visit to Riyadh would not be complete without a trip out to the desert. 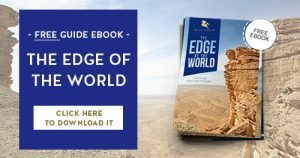 Highly recommended would be visiting either the Red Sand dunes or the spectacular ‘Edge of the World‘ which both offer unforgettable experiences for travellers. 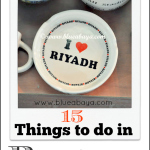 4) What are your favourite places to eat in Riyadh and why? That’s a tough question to answer! There’s simply so many great places. it really depends on what you’re looking for, budget-wise, and who you’re eating out with. For first time visitors to Riyadh, the Najd village restaurant is a MUST visit! The restaurant which is built as a replica of the traditional mud houses typical to the Najd region, serves delicious Saudi cuisine in private majlis (living rooms). It’s great for groups and families. Another favorite is the Brazilian restaurant ‘Il Terrazo‘ which is located on a terrace overlooking the Faisaliyah tower. it’s a buffet restaurant with great ambience and food, the best thing is to be able to sit outside with such a lovely view. Friday Brunches are a popular way to spend Friday afternoon’s in Riyadh. Most of the 5 star hotels offer them but my favorites are the Ritz Carlton and Four Seasons spreads. For breakfast my favorite is Paul’s on Tahlia street. They are open on Fridays and it’s always a pleasure to be able to enjoy breakfast outside, weather permitting of course. Paul’s has their own bakery shop where you can pick up freshly baked breads, mouth watering cakes, pies and their famous croissants. 5) To what extent is there a strong sense of community among westerns in Riyadh, and if I’m a traveller, where would you recommend going to meet other people from the same walks of life? The western communities tend to be restricted a lot by the compounds where they live in and most people socialize within those circles. Because of the cultural restrictions and laws of KSA, it’s not easy to organize large gatherings among expatriates especially mixed gender crowds. The Diplomatic Quarter is a good place to start. the ‘DQ’ as locals call it is a gated area where the foreign embassies are located and many westerners live there. The area can be accessed by public and especially westerners should have no trouble getting in. There are quite a few interesting tourist attractions in the DQ. There are over 30 beautifully landscaped lush gardens in the area, a 20km long nature walking trail which encircles the quarters and provides spectacular views to Wadi Hanifa. The architecture in the Diplomatic Quarter is the work of internationally renowned architects from all over the world, making the area even more appealing to visitors. Come with an open mind and don’t be afraid to explore the city, you won’t regret it! To keep up to date with Blue Abaya’s Expat Guides make sure to subscribe with the form below! I have some questions regarding working and living in Riyadh, could you please provide your Email ID so that I can have a conversation with you. We are some expats working in the DQ and trying to play football on Mondays night. Is anyone willing to join? Not professional level, age 30-50 years.